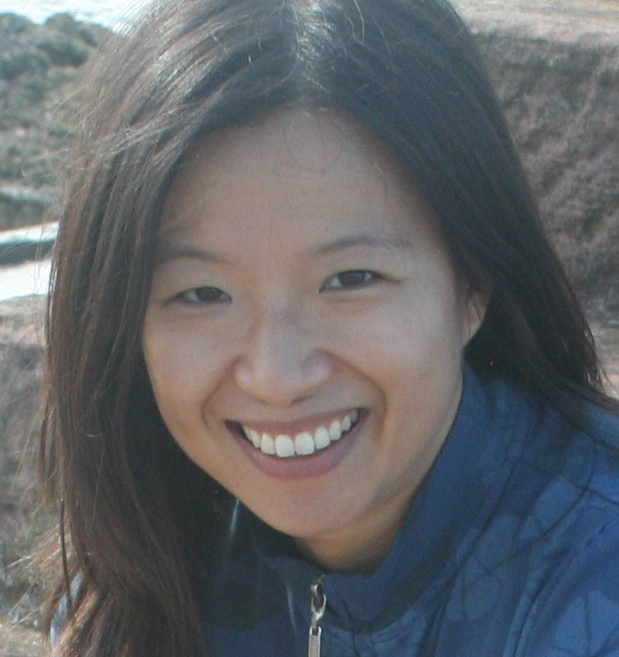 Ying Lee (writing as Y.S.Lee) is the author of The Agency, a series of Victorian-era mysteries for Young Adult readers published by Candlewick Press. Her debut novel, The Agency 1: A Spy in the House, was recently shortlisted for a 2010 Agatha Award and the Ontario Library Association’s 2011 Red Maple Award, and was published last month in paperback. The Agency novels have been translated into seven languages. Visit Ying’s site at www.yslee.com. “Before the VIDA statistics were published last month, I had come to think of today’s publishing marketplace as a female industry. I knew that men used to run the show –generations of affluent, similarly educated, socially connected men who defined what literature was. But in the year 2011? My agent and editors are women. So are their bosses, assistants, and art departments, with the occasional male designer or VP Sales, as if to emphasize the imbalance. My writer friends are mostly women, and so are the book bloggers I follow. That was last month. When I saw VIDA’s stats for my beloved New Yorker, and heard TLS editor Peter Stothard’s asinine defense of the status quo, it was clearly time to think again. Today, I’ve organized my reflections under three themes, none of which (obviously) exists in isolation. Money. “Low pay” is a frequent complaint in publishing, so ubiquitous that we assume it to be the natural order of things; the price you pay to do a job you love. A writer’s advance may sound impressive, but it’s seldom enough to quit the day job. The annual salary survey conducted by Publisher’s Weekly is a predictable tangle of low raises, tiny bonuses, job dissatisfaction, and yes, pay inequity. Is it significant that such a female arena is also a relatively poorly paid one? (When significant numbers of men became teachers, salaries rose. Ditto for flight attendants. Perhaps when men flee a field, or cede positions to women, we should think again about its health.) By this logic, we should keep an eye on book reviewing. If men account for three-fourths of reviewers in major literary periodicals, what do they know that we don’t? “Literature”. I write novels for Young Adult readers (defined as aged 12+) and work with the almost exclusively female team described above. This seems to be one of the gendered assumptions about publishing: that women gravitate towards young people’s books, much as they do towards the so-called caring professions. (It’s not the case for me: my first novel was originally an adult historical mystery. It was my agent who pointed out that it was a coming-of-age story, and should be recast as a YA novel. She was completely right, and here I am – a YA author, quite by chance.) If children are so important (show me a politician who will publicly disagree with that), and education equally so, why aren’t more men involved with children’s literature? And why is children’s literature considered less worthy than literary fiction and poetry? Women in the house. One of the great benefits of being a writer is working from home: jeans every day, no commute, frequent snacks, zero office politics. Plus, you never have to feign interest in your colleague’s Pomeranian’s dental woes. But there’s this misconception that women like me, with young children, work while their children frolic (quietly!) underfoot. It’s not like that at my house. I need a room of my own, as did Virginia Woolf, and most others who engage in abstract thought. And yet I’ve ended up typing with one ear cocked for the baby monitor, negotiating “extra” writing time with my (supportive, generous, equal-parenting) spouse, organizing childcare, and defending my choices to nosy strangers who apparently know best. I’ll take my job over office life, any day of the year. But it’s disquieting to think that I’m contributing towards this stereotype of the domesticity of writing, and perhaps its status as something less than “real work” – whatever that may be. Fantastic musings! I’m far too tired to add my own, sadly, as I’ve been struggling to manage quite a few balls in the air as my very energetic children frolic underfoot, and my supportive, generous, equal-parenting spouse works inhuman hours to make all of this even a remote possibility…but I co-sign all of your insights and add my voice in enthusiastic support! I’d just like to add my two cents to this. It really is anyone who believes in the stereotypes fault for continuing to keep the stereotype going, not that of women who do like traditionally female things. If people could just view us all as individuals they’d see there are some women who operate in manners traditionally associated with women, some who don’t and some who are a bit of a mix. I mean women who genuinely are interested in areas traditionally defined as male should be able to show that interest. Women who aren’t interested in those areas should be able to show their interest in areas that are traditionally defined as female. All this guilt about whether our behaviour reinforces stereotypes is created by the fact that other people can’t get their minds around the idea that people are individuals instead of homogenous members of a gender group and sadly I’m not sure we can control their perceptions, they’ll just find some other way to rationalise women who don’t behave in a traditionally feminine way that keeps their ideas on gender intact. Wonderful post, Ying. To add another angle–as someone who once worked in an adjunct field (children’s television) I have always been struck by the gender discrepancies among writers in the television world and especially in the comedy genre. Now there’s a high-paying writing profession and hmmm! Look at THAT gender imbalance! I wonder if this lack of gender review balance is because there are more women in publishing. Maybe the reviewers are unconsciously avoiding reviewing novels by women to exert some kind of control. Or maybe the reviewers don’t think stories by women are revelent or good. Probably a bit of both. Fascinating post, and thought-provoking. I’d not really considered YA publishing to be a female enclave (though I suppose the biggest sellers – Meyer and Rowling – are female). Perhaps it’s because – unlike children’s books – YA are likely to be bought by the person who’s going to be reading them. And at that age, those are likely to be girls. Publishers are in the business to make money, and so of course they’ll buy books they think will sell; if that means jumping on the latest bandwagon (supernatural romance seems to be all the rage now, thanks to the Twilight books), then they’ll jump. With respect to Doret’s point, I think there’s definitely a tendency to assume that women’s work appeals only to women, whereas novels by men are appealing to both sexes. I think that’s a patronising view, but one that’s sadly prevalent. Wonderful comments – thank you for engaging so thoughtfully with my post, everyone. @Jodie, I take your point about stereotypes and guilt. I guess I wish I were doing more to subvert typical expectations, rather than conforming to them (although that’s what works best for our family, and we have no plans to change things up). @Sarah, that’s a great comparison! Did you see Tina Fey’s recent comment about how, only in comedy, does an obedient girl from the suburbs count as “diversity”? @Sayantani, I wonder if the quandary of work-life balance is because even in fields like pediatrics, the shape of work is structured around the idea of the dedicated professional with a support team that “frees” her to attend to her work. Is it about matching the traditional career model, rather than changing it? And @Doret, your question about women avoiding over-representation is an interesting one but, I suspect, a bit optimistic. I don’t have facts to back up my gut feel, though, and would be happy to be proven wrong. Darn. Tina Fey’s remark was about an “obedient white girl”, not just an “obedient girl”!